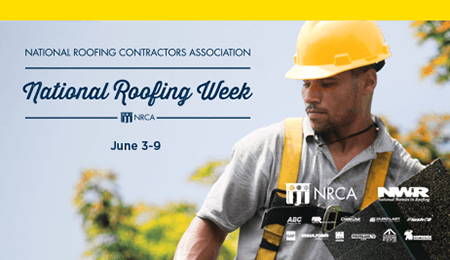 It’s National Roofing Week! Each year, the National Roofing Contractors Association (NRCA) promotes excellence in construction and restoration. As a proud NRCA Member, our dedicated team at Venture Construction Group (VCG) is providing some tips to help your project run smoothly. Choosing a quality contractor is an important step when diving in to your next construction or restoration project. It is important that you feel confident that the company is accredited, educated, and trustworthy. It’s also imperative to build a strong relationship and establish communication flow. The company you select should be highly responsive and available to answer your questions, help you with the best solutions to carry out your vision, while delivering high quality work according to schedule. The selection process can be confusing but it doesn’t have to be. Here are 5 tips to select a quality roofing or general contractor. 1. Is the Company Bonded, Licensed and Insured? Make sure the contractor carries all appropriate licensing, insurance, and installation certifications to install materials to the state building codes and regulations and manufacturer’s guidelines. It’s important to note that General Contractor and Roofing licensing requirements vary by state and in some states, is not required. You can check on your state’s contractor licensing website if you’re unsure. It’s important to check that the contractor carries appropriate insurance and of course, workers’ compensation. This step is crucial to ensure you’re covered in the event something were to happen during your project. Request a copy of the company insurance certificates and agent contact details. Thoroughly review the company’s accreditations, certifications and education. Your property is important and sourcing quality workmanship is essential! Expert contractors stay up to date on their knowledge of materials, supplies, techniques, safety standards, and installation methods. Ask what memberships, certifications and accreditations they hold. You can easily do a quick search online to find a wealth of information on the company including awards, memberships, reviews, testimonials, media features and more! Find out how long the company has been in business. This can help in your vetting process. Look for testimonials on their website. This is an excellent way to find out firsthand feedback from previous clients. Check if the company has memberships, accreditations, education and certifications clearly displayed on their website. 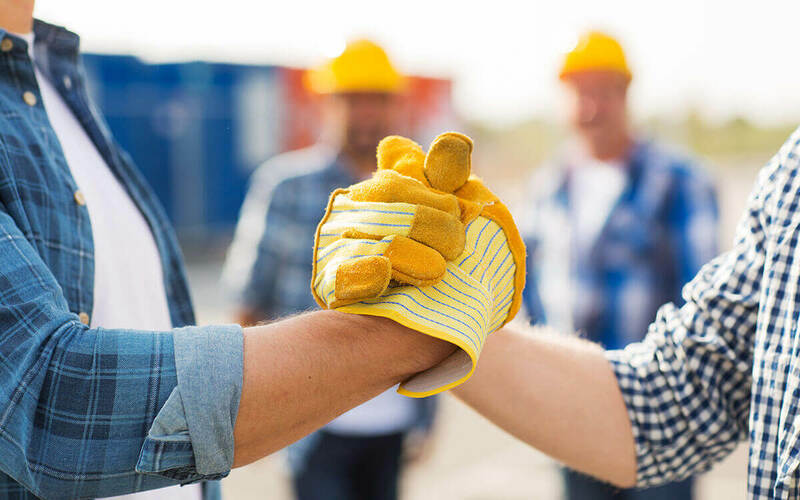 The best contractors invest in course work to earn certifications and accreditations to stay on top of the latest protocols, techniques, safety guidelines and industry advancements. Review the company portfolio of their work. This will help you see their breadth of knowledge, expertise, and quality workmanship. Find out if the company has major local, national or industry awards, media coverage or press. This is a major credibility builder and can help you greatly in your selection process. Make sure the company office addresses and contact information are clearly listed. Find out if the company is actively involved in your community. This could include local economic development boards, charitable endeavors, memberships and chambers. Make sure the company services are clearly listed on their website. This will help you determine the right fit for your project. At the click of your fingers you can conduct a quick Google search on the company name to find out a vast amount of information. Look for online ratings, testimonials, reviews, media appearances, project features, and any potential red flags. This is an important step to find out more details about the company’s credibility and reputation. Find out if the company is a bona fide member of the BBB and check their rating in your area. You can also see if any formal complaints were filed with your BBB here. Select up to 3 contractors to submit bids on your project. Set up meetings with each. The face time will help you greatly in your selection process. Have the contractor review your scope, provide a property inspection, and submit a detailed estimate with scope of work, timelines, and costs. It’s important not to choose a contractor solely based on price. Less is not always better! Select your contractor based on their knowledge, commitment to exceeding industry standards, and level of expertise. Sometimes, lower priced bids can mean they are either using a lesser grade of materials, or they may provide numerous change orders later that will nickel and dime the contract well past the original bid price. Don’t forget to ask for references! A professional contractor will gladly provide a list of local references. It’s important to select a quality contractor for your project, and the process should not be taken lightly. Follow these tips and you will be off to a great start to find the right company to achieve your vision.